Chrome steel case with a stainless-steel bracelet. Fixed 18kt rose gold bezel set with diamonds. Silver dial with blue hands and Roman numeral hour markers. Minute markers across the inner ring. Dial Sort: Analog. Automatic movement with a 38-hour power reserve. Scratch resistant sapphire crystal. Case diameter: 36 mm. Case thickness: 12 mm. Spherical case form. Folding clasp. Waterproof at 30 meters / 100 feet. Purposes: hour, minute, second. Luxury watch taste. Watch label: Swiss Made. 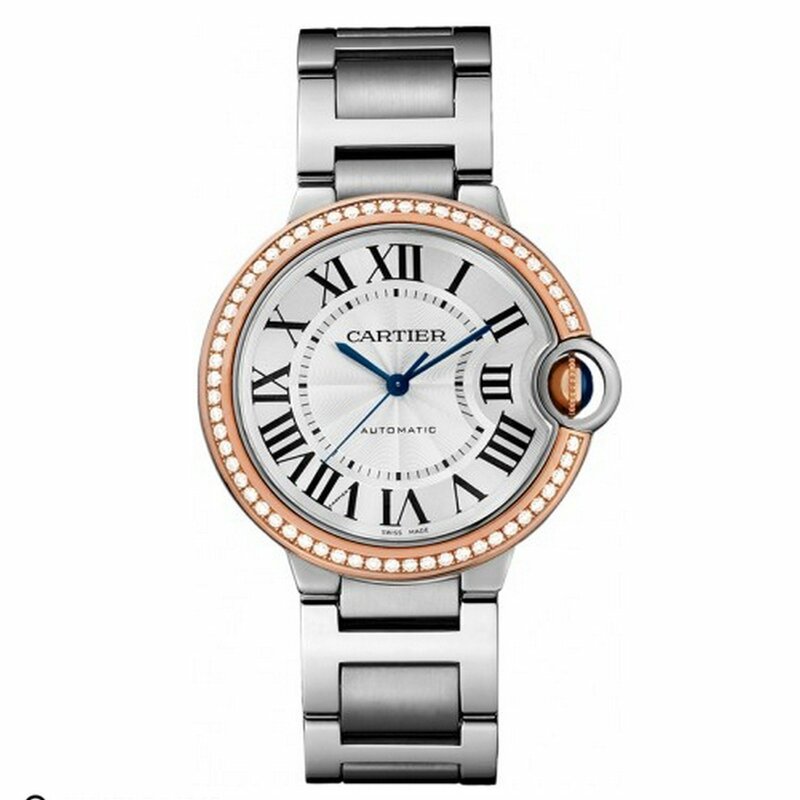 Cartier Ballon Bleu Automatic 18Kt Rose Gold Diamond Steel Girls Watch WE902081.